Her dam is one their favorites, GLL Alita who is also the dam of GLR Amelita, the 2005 AAA Futurity Grey Female Color Champion. Allelujah's 2007 cria was a beautiful medium brown female, GLR Anasazi. Her 2008 cria, GLR Arappaho, is a killer true black Shavano son ( our 1/2 Accoyo true Black male Champion) who was one of our best 2009 show string members, winning Black Male Color Champion at MAPACA and the 2009 AOBA Nationals. 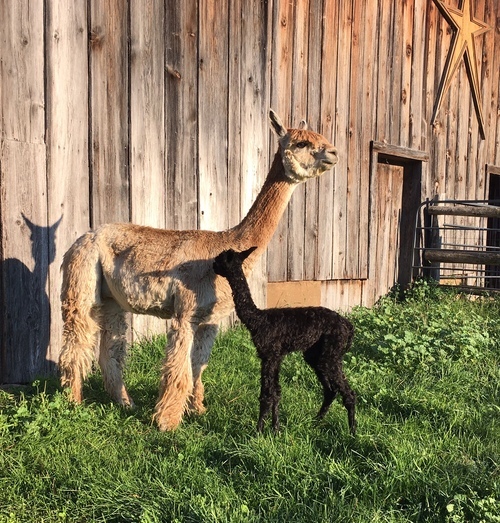 He was purchased by Linda Kondris of Pines Edge Suri Alpacas. 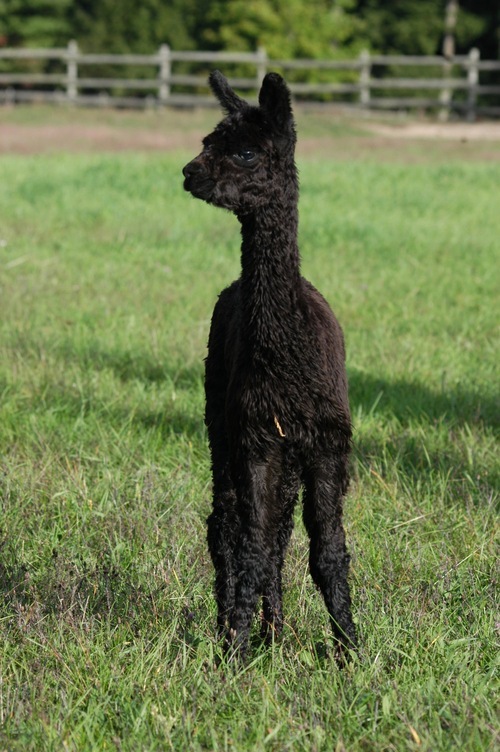 Allelujah's 2009 cria is another true black Shavano kid, this time a female, GLR Ali, and who won Reserve Black Female Color Champion at the 2010 AAA Futurity, Black Female Color Champion at GWAS and the Reserve Black Female Color Champion at 2010 AOBA Nationals. 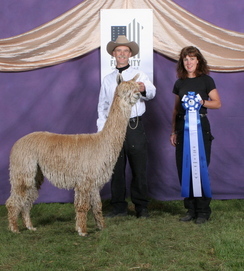 GLR Airella, Allelujah's 2010 female Shavano daughter, a full sibling to GLR Arrappaho and GLR Ali was sold to Heidi Skinner at Snowmass Alpacas at the 2011 AAA Futurity. Allelujah's 2012 cria, a black female sired by Shavano, GLR Alia, was a member of their 2013 and 2014 show string and made her mother proud. She was first at the 2013 AAA Futurity and was first again at the 2013 MAPACA Jubilee where she went on to win the Black Female Color Championship and 1st and Reserve Black Female Color Champion at AOBA Nationals standing behind her pal, Shavano daughter GLR Jamaica who won Color Champion and Judges Choice! GLR Alia in 2014, was the AOA Nationals Black Female Color Champion the 2014 AAA Futurity in Kansas City and the Reserve Black Female Champion at MAPACA. She also won the Black Color Championship at the 2014 Suri Network fleece show in Estes Park. Allelujah has been one of the best producers of champion cria for Brad and Jandy. We are excited to have her here at Halo Ranch Alpacas! Allelujah is bred to Cinders, the 2016 & 2017 Dark Herd Sire of the Year for a Summer 2019 cria.